This brown hunk is a Gibson Les Paul Professional, that the customer asked us to strip the hardware from, so that he can have it fully refinished. While we were at it, Jeff gave it a full refret. We'll update with the finished product when we do the final build and it should be a spectacular guitar. 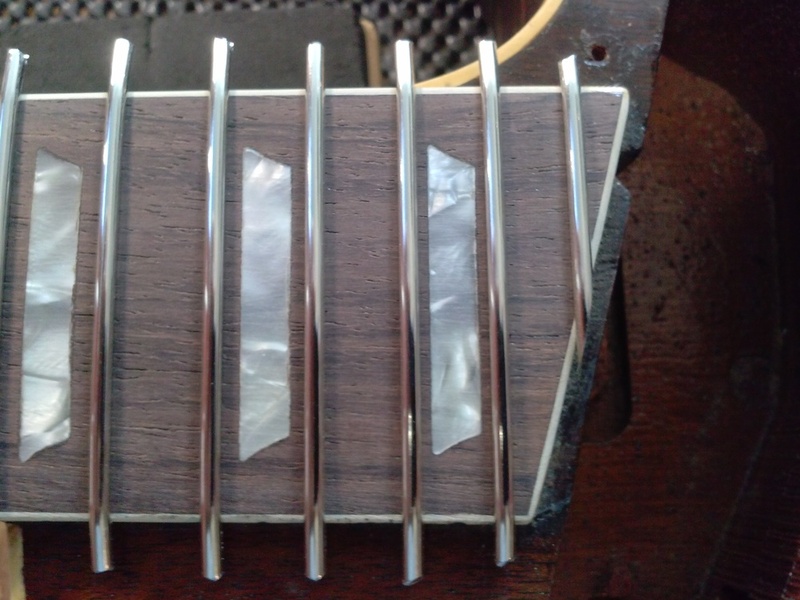 Check out that last fret!